Thank you to all those who took part in our Anthony Joshua quiz! The competition is now closed, and the winner will be announced on September 14th. 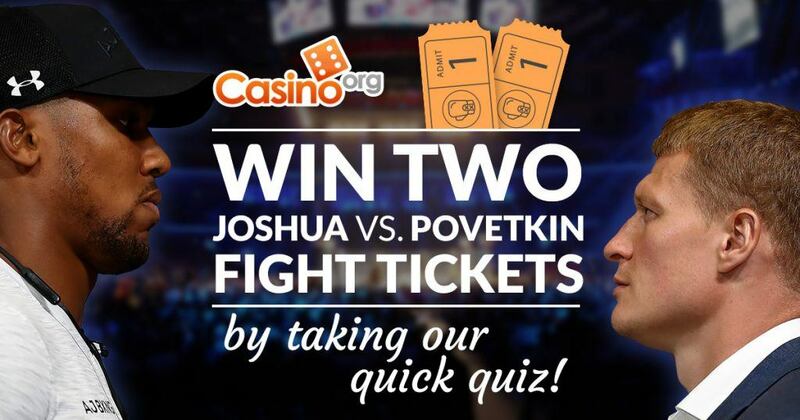 Casino.org will be offering one lucky winner TWO tickets to Anthony Joshua’s latest heavyweight title fight against Alexander Povetkin, after taking our quick quiz and answering all five questions correctly. This huge competition ran from August 14th at 9.30am and was extended until September 14th at 4pm, with the winner (who must be a UK resident) being drawn at random and announced on September 14th! So, don’t miss out on being at one of the biggest fights of the year at Wembley, as Britain’s leading boxing superstar looks to continue his rampant run against a dangerous Russian challenger. 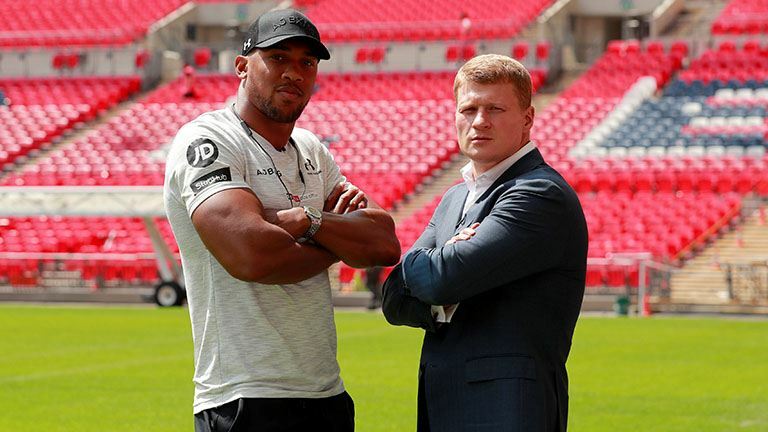 Joshua will put his unified heavyweight belts on the line in London on September 22nd, as he aims to maintain his impressive unbeaten professional record and add another foe to his long list of knockout victims. 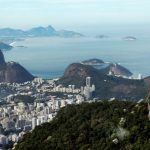 ‘AJ’ has become one of the sport’s biggest and most attractive stars in recent years, bursting on to the pro scene after his 2012 Olympic Gold medal victory and becoming world heavyweight champion in only his 16th ring outing. The hard-hitting 28-year-old has bulldozed past most of his opponents so far, with New Zealand’s former world title holder Joseph Parker being the only man to take him the 12-round distance in his 21 bouts to date. 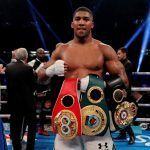 ‘AJ’ has moved quickly through the ranks and is now undoubtedly one of the most recognisable names in the sport, alongside Mexico’s Saul ‘Canelo’ Alvarez and middleweight kingpin Gennady Golovkin from Kazakhstan. The Briton has earned admirable triumphs over tough American Dominic Breazeale, Ukrainian legend and future Hall of Famer Wladimir Klitschko, threatening Frenchman Carlos Takam and former champion Parker since dominantly claiming his first world crown from Charles Martin in April 2016. Next up is a challenging match-up against former WBA ‘Regular’ heavyweight champion Povetkin, who, like Britain’s main man, is also a former Olympic Gold medallist from the 2004 Games in Athens. ‘The White Lion’, who turns 39 before the fight, poses a genuine threat to ‘AJ’ and proved his worth in front of a British audience already this year, having brutally stopped Liverpool’s David Price back in March at the Principality Stadium in Cardiff, Wales. 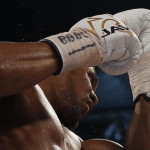 His devastating fifth-round KO victory over the Merseysider came on the undercard of Joshua’s decision success against Parker, and the two combatants are now set to square off with each other on one of the biggest nights in British boxing this year. 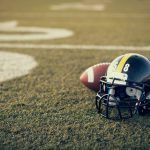 So, good luck to all quiz participants, with one lucky victor set to take their seat at London’s Wembley Stadium for what is sure to be another heavyweight blockbuster after answering just five simple questions!